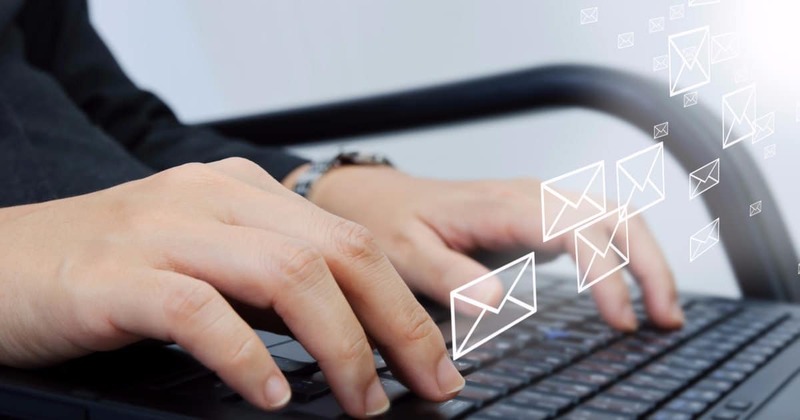 Email A: Personal email address that I use with my friends and family. Email B: Work email address. Email C: “Anonymous” email address that I use to sign up for newsletters. 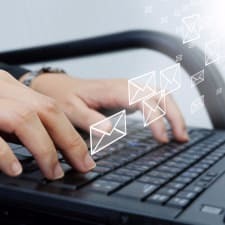 Email D: Family email address — it’s amazing, for reasons I wrote about over at CorporetteMoms, our blog for working moms. I have several other email addresses for various things, but those four are the main ones. 2. I only really use two inboxes, even though I have four main email addresses. Email C forwards to Email A but the messages are filtered to skip my inbox and go directly to a folder I call “TDE” — to delete eventually. I regularly have 500+ unread emails in that folder — I do mass deletions by just highlighting 50 of them at once, unchecking and starring anything I actually want to look at, and deleting the rest based on subject line or sender. Email D (family email address) also forwards to Email A, as well as to my husband’s main email address so that both of us see all school- and kid-related emails. Email B (work email) is its own beast that I kind of stink at figuring out — I get a lot of random companies signing me up for newsletters, a lot of poorly-worded cold emails re SEO, guest posting, etc. Of the hundreds of affiliate relationships I have for Corporette, unless I affirmatively opt out, I get series of emails that go like: “Retailer X is having a sale next week!” followed by “Retailer X wants to remind you about the sale next week!” followed by “Retailer X is changing the sale next week!” followed by “Retailer X is having a sale tomorrow!” followed by “Retailer X is having a sale now!” — all of which I generally ignore because a) it’s a lot of noise and b) if it’s a big sale that’s worth noting to you guys, I’ll hear about it somewhere else. 3. Regarding sale emails: I just set up a separate folder for Covvet emails (mentioned in last year’s post on shopping apps), which I always love to get, but otherwise all sale emails (personal ones, at least) go to my TDE folder in my personal inbox. In years past, I had ALL of the sale emails go to a separate folder because, let’s face it, you either have time to shop the sale that day or you don’t, and it’s kind of a bummer to find out four days later that your favorite store had a big sale. 4. While in the past I would only give you Email A if I actually know you, that’s changed a little. I DID recently switch some robot emails from Email C to Email A just so that they definitely hit my inbox, like important(ish) ones such as boarding passes and library notices. How about you guys? 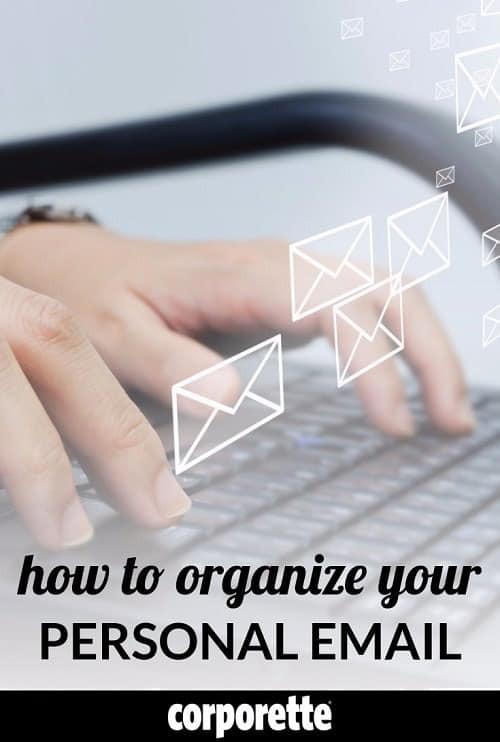 What are your best systems, hacks, and tips on how to organize your personal email? How do you balance the need to “not be overwhelmed” with the desire to be informed? Do you practice Inbox Zero? Are you in need of Email Debt Forgiveness Day? I am all about the folders and inbox zero. I use my main inbox as a type of to-do list. Once it’s been taken care of, it gets filed into a folder in my inbox. My work inbox has 34 main folders based on topic and then there’s sub folders in there. Now that I changed jobs, this is how I am dealing with my new inbox. So many folders/subfolders. I am still working on what is going to be the best overall structure but I was determined to not to have the uncontrollable balloon my old inbox was. I’m obsessive about organizing my work email. I practice inbox zero religiously. But my personal email is just one giant Gmail inbox that I never clean up or clear out. I never delete emails. Star anything that’s vaguely important. I think it’s because I don’t use personal email very often – I talk to my friends/family via texting or social media. I mostly get store sale emails haha. +1 but I use my personal email all the time. At one point, I set up a bunch of folders in Gmail and tried to use them, but the search function is so good in Gmail that I stopped. Gmail is also good at filtering out spam and I used unroll.me to clear out what I didn’t want when I kind of sort of wanted to try to be better about it. I keep bill emails unread until I pay them and to do list emails unread until I check them off. Otherwise I delete news emails after I am done and then everything else stays in the inbox. Yep. My work email I have a whole setup of folders and flags and things being in the inbox vs filed (almost never inbox zero, but striving for it, and keeping it at maybe inbox 25?). My personal email? A complete mess. Full of old ads, logins for websites that don’t exist anymore, shipping notifications for things that arrived six years ago, a quick email from a pal two years ago that wasn’t meaningful and didn’t need to be saved…oy. I have everything from 2004 on in my google inbox… which means I am really darn good at using the search function! I am religious about unsubscribing from shopping emails and other newsletters, so I only get emails to my personal email that are items I want to read. I found that since I don’t have get any shopping emails (other than shipping notifications, which are emails I want) my random spending has gone way down. I actually will forget that a store like J Crew even exists. I stopped organizing either work or home emails. I read or delete everything as it comes in, and do not file read emails. I use search to find what I need. It works fine. I use google inbox and mark everything as done unless I need to do something about it. When I need to find something I just search for it. Their search functionality is pretty robust. I use Gmail for all personal stuff and I don’t do much to organize it. I star important notes that I need to hold onto from daycare and school. Occasionally, if I’m planning a trip, I’ll add labels for those one-off things. But I keep it very minimal, probably because I have to be obsessive about my Outlook work account. Gmail’s search function is so good that nothing really gets lost/misplaced. I have an old Yahoo account for junk email that gets checked maaaybe once a week, if that. I have to admit, I don’t see much utility in a family email address. Almost my entire personal email account is filled with family-related stuff; I just don’t get that many personal emails. Schools and daycares have been very good about sending messages to both parents, but maybe we’re just extra lucky. We do share a Google calendar, though, otherwise we’d be incredibly disorganized. I have 3 personal (gmail) and 1 work (outlook) email accounts very similar to yours. 1. Personal email account: Everything goes here. Emails from friends, boarding passes, sale reminders, etc. 2. Professional-sounding personal email account: Good for putting on a resume. I use it for job searching and the occasional non-work professional thing. I get like 2 emails a month at this address, if that. 3. Family email account: Shared with husband. He has used it as a backup personal account a couple of times, so we do get some junk mail I don’t want. But mostly good for school newsletters, soccer schedules, birthday party RSVPs, and bills – anything we both need access to. 4. Work email – Totally separate and only for work stuff. Work email has a whole system of folders and archiving. Personal email I tried doing that but recently just got ruthless with the deleting. If it is a receipt, it gets archived. If I might need to refer to it later, it gets archived. If I need it temporarily (like to remember to use that 20% off code when I order a thing this weekend) it stays in my inbox until it serves its purpose, then I delete it. If it is not a sale/deal I’m actively interested in or something I will need to refer to later or preserve for posterity I delete it pretty much as soon as I read it. Maybe without reading it. I actually really enjoy this system. Deleting stuff is so freeing! My favourite Outlook trick is the ability to edit received emails, for example to change the subject line. Just remember to change it back before you reply. I use Outlook at work and I keep things simple: either it’s in my inbox with a flag to show it needs action, deleted, archived, or I have folders for useful information and conference and travel bookings. I’ve stopped obsessively colour coding my calendar as it took too much time – that was liberating. Outside of work I use Gmail and I use the Spark app which lets me make liberal use of customised snoozes – I just snooze emails until I plan to actually deal with them. I use one email for newsletters/ordering online/sales, etc. and unroll.me has been a game changer for sure. I don’t necessarily want to unsubscribe (if that even works) because sometimes I want that 20% off coupon, but it makes it so much more manageable.